Look here for Calving Ease you can trust. Ranks top in the breed. Top 10% CED (Calving Ease Direct) - Top 5% BW (Birth Weight). 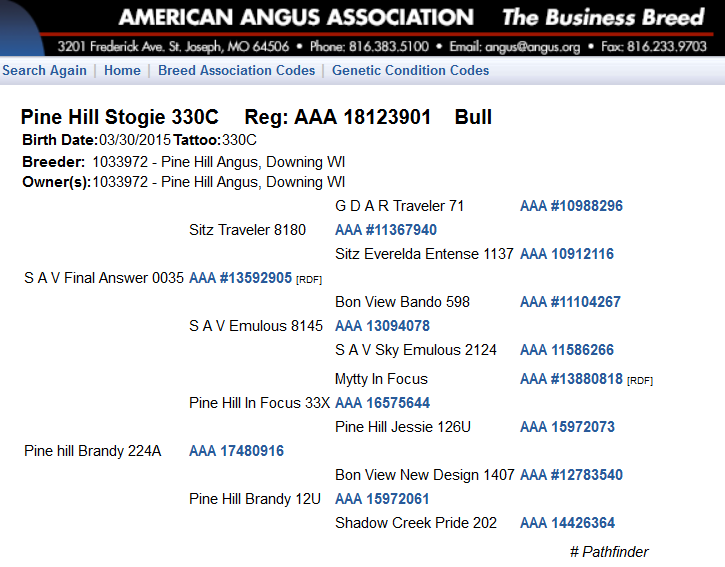 Stogie was in the St Croix Valley Bull Test. He caught a bug that went through, went off feed, fell behind and never caught up. Perfectly healthy since December but the set-back caused him to not gain enough to qualify and make sale so for sale on farm. 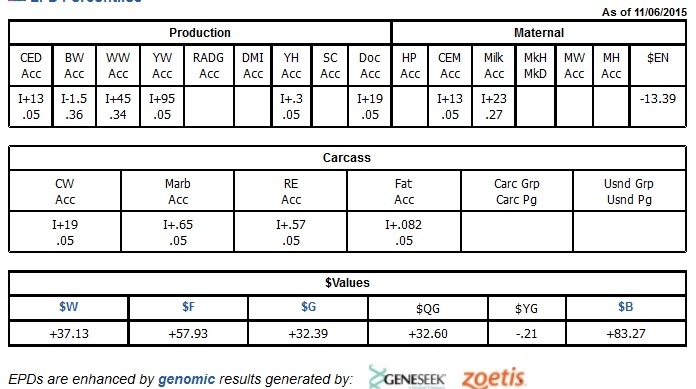 Inherits his Dam's small (feed efficient) frame score. 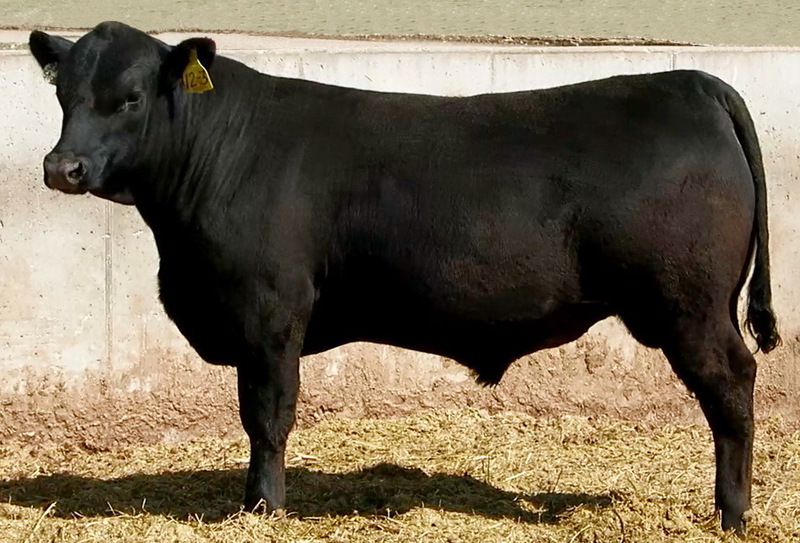 Expect very correct, thick made calves with explosive early growth in a controlled frame score. His top 2% Calving Ease EPD’s and 66 pound actual birth weight make him an excellent choice if you need a heifer bull. Stogie is his Dam's first calf, so no Production Records records on her. 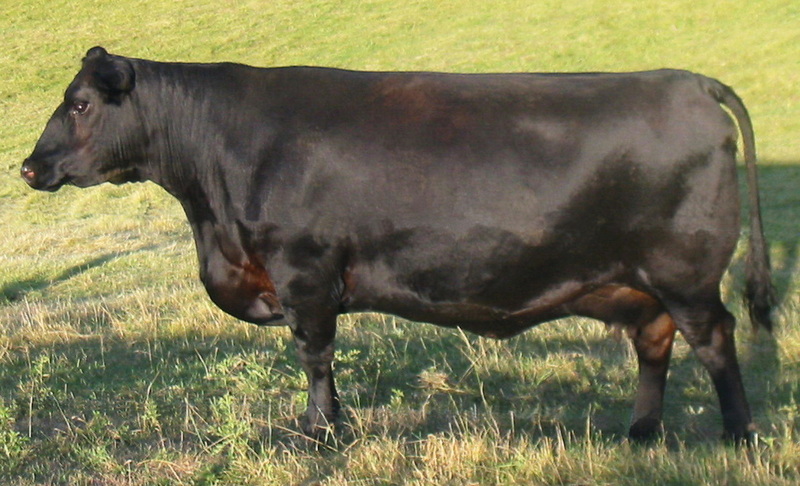 His Grand Dam (Pine Hill Brandy 12U) recorded a 106 Weaning Ratio, 111 Yearling Ratio, 126 Marbling Ratio, and a 108 Ribeye Ratio. 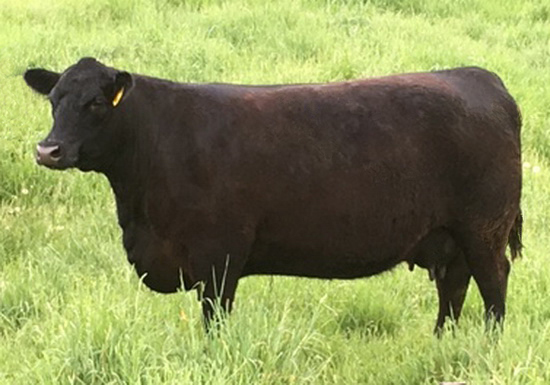 Her Production Record reads: 4 calves with an average 103 Weaning Ratio, 3 calves @ 102 Yearling Ratio,3 calves @ 115 Marbling Ratio, 3 calves @ 100 Ribeye Ratio. 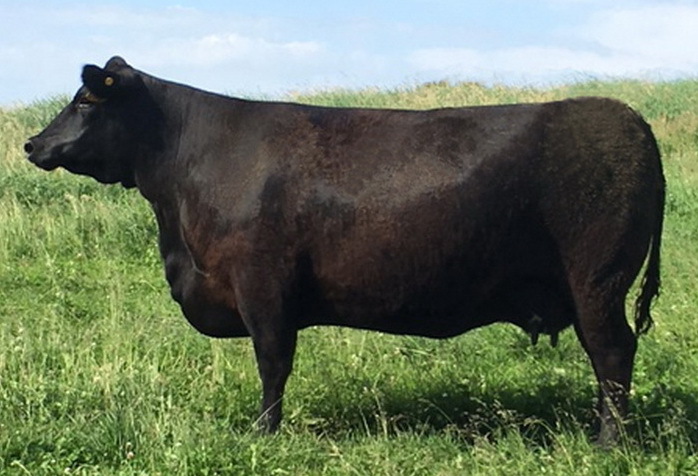 His Great Grand Dam (Shadow Creek Pride 202) is a cornerstone embryo donor cow in our herd, out of the great Hyline Pride cow family from the Raymond Van Dyke herd, in Bozeman Montana. Adjusted Yearling Weight: not yet available. 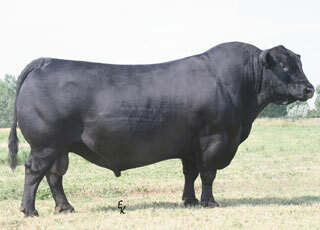 Click Here for current EPD's American Angus Assoc. page, then click "search"